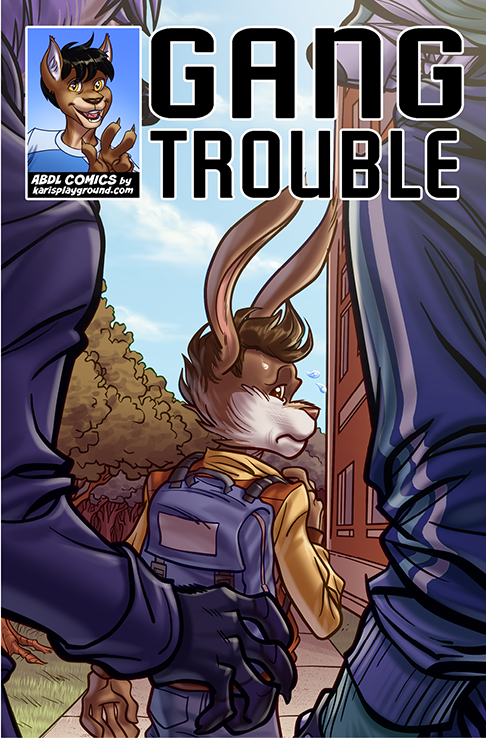 Gang Trouble, the story of a young “jockrabbit” named Conner who gets bullied by a fox named Aito and wets his pants because of it, is NOW available digitally from lulu.com! 12 pages of full-colour excitement and furry shenanigans with Conner, Aito, Tamas, Kiwi, Justin, Shadow, Atlas and more! Only $4.99! Every purchase made helps create MORE fun diaper comics from Karis’ Playground! Point your browsers to http://www.lulu.com/shop/karis-playground/gang-trouble/ebook/product-22981146.html and GET SHOPPING!